Here’s our roundup of the best PS4 Black Friday and Cyber Monday deals on cheap console bundles, games and more. Pat yourselves on the back bargain hunters, we’ve made it through the Black Friday weekend and even Cyber Monday’s end is finally in sight. But be on your guard, there’s still some last minute deals around on plenty of your favourite PS4 games, consoles and bundles. So, let’s take a look at all the Black Friday and Cyber Monday deals that we’ve captured so far. That’s a decent set of deals! There are many excellent deals cropping up over Black Friday and Cyber Monday – chances are there aren’t going to be many better deals going up now the main event has passed, but we recommend you keep checking this page, just to be on the safe side. With the deals chaos being embraced by retailers around the world, you’ll definitely want to make sure you have this hub bookmarked for the best PS4 Black Friday and Cyber Monday offers leading up to and including the two events. We’ll do the hard work of bringing the bargains to you. This page will showcase the very best PS4 Black Friday and Cyber Monday offers for the PS4 Slim, PS4 Pro as well as PS4 games and PS4 accessories. You can also check out our top picks for the best Xbox One Black Friday and Cyber Monday deals and the best Nintendo Switch Black Friday and Cyber Monday deals too! There’s been a lot of PS4 Black Friday & Cyber Monday console bundles live online to tempt you in this year, and while plenty have been snapped up, there’s still a selection ripe for the picking. 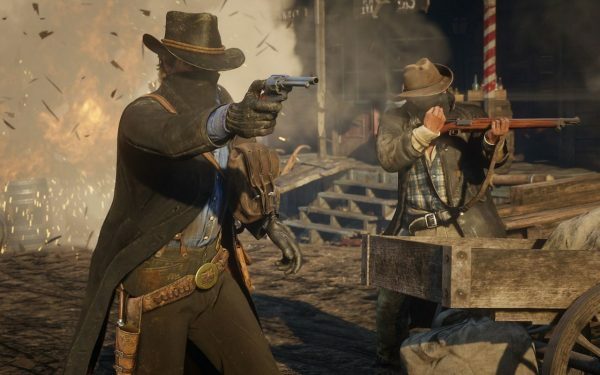 It’s also the middle of the big release period for games too, so you can expect to see many bundles here featuring Rockstar’s latest western epic, Red Dead Redemption 2. There also been plenty of deals featuring of the year’s previously released smash hits too, including Spider-Man and God of War. There’s also the fairly reliable combo of consoles with this year’s FIFA 19 outing to boot. Let’s take a look at what we have on offer so far. It’s a busy time of the year for game releases, so there’s lots for us to be looking out for as the Black Friday sales roll around. We kind of expect things to be fairly quiet for the likes of Assassin’s Creed Odyssey, Red Dead Redemption 2 and Call of Duty Black Ops 4 in the run-up to the big day itself, but we’ll certainly have an eye out for any major discounts when the big day begins proper. You might be able to find a cheeky little discount here or there. 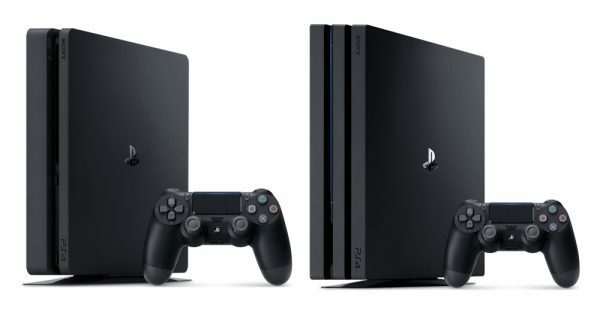 Should you buy a PS4 Slim or PS4 Pro? It’s the big question facing many looking to pick up a PlayStation 4 console this Black Friday or Cyber Monday. Is it worth grabbing a cheaper PS4 Slim or should you cough up the extra money and plump for a PS4 Pro? Essentially, your decision may come down as to whether you own or are going to buy a 4K TV or not. The biggest additional feature that you gain from a picking up a PS4 Pro is that you can play games in the higher 4K resolution, something standard HD TVs cannot do. If you want the games you play to look the best they possibly can – and you have the TV tech to support it – then the Pro is the one for you. For everyone else: whether that extra graphical bump isn’t such a major concern or it’s your first foray into the world of console gaming – then a PS4 Slim will do you just fine. 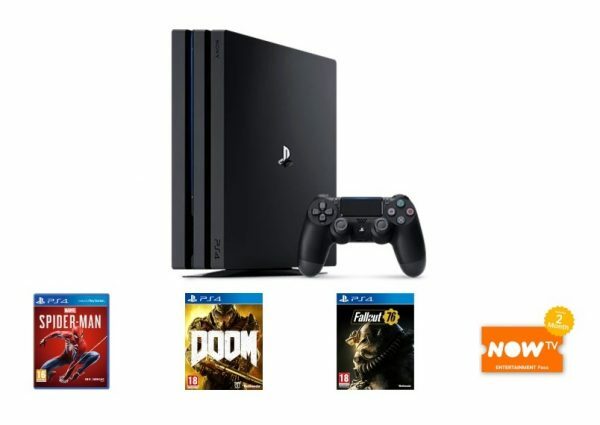 It’ll play all the same games a PS4 Pro can while saving you £100 or more off the asking price. What can you spend that money on? Er, more games, obviously! That said, you can use some of the PS4 Pro’s power while plugged into an HD TV. The Supersampling Mode, added in the PS4’s 5.50 firmware update, will render your games at a higher resolution to give the impression that they are running on a 4K display. Obviously, it’s not a true representation of a 4K image, but it’ll give you a bit of a visual bump. If you are considering an upgrade to a 4K TV soon too, you may want to future proof yourself with a PS4 Pro – at least for the next few years down the line. 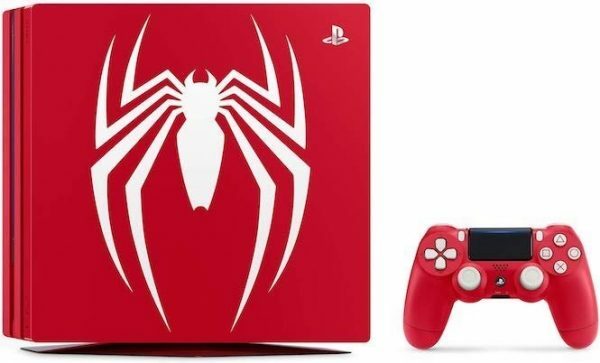 Is the PS5 releasing soon? The short answer to this is: no. We’re all but sure that something akin to the PS5 is out there and in development somewhere, but any hopes of seeing it in our homes in the near future are practically zero. It’s been rumoured that developers have already started toying with dev kits and are working on titles for Sony’s next console, but, as we’ve said, they won’t be released for a good couple of years yet, at least. We may be lucky enough to get the first hints of the PS5 next year, but nothing is guaranteed at this stage. Either way, there’s very little reason not to get involved right now. The hurdles of early development have been cleared and we’re seeing some of the console’s potential fully realised with some terrific games like Marvel’s Spider-Man, God of War and Red Dead Redemption 2. The prices represent that too. Whereas last year the PS4 Pro and Xbox One X consoles had only just been released, they’ve now been around a good year and a bit, so we expect deeper discounts on the Pro this year than previously. The Slim should be the cheapest it has ever been as well. For now, though, if none of the above deals takes your fancy, don’t worry. We’ll be here updating the page as often as possible to make sure all the very best Black Friday PS4 deals are represented as and when they appear. Then, we’ll be here all the way through Black Friday itself, bringing you all the best deals from around the web. When are Black Friday and Cyber Monday? Black Friday falls on November 23rd this year, with Cyber Monday deals kicking in a few days later on November 26. Cyber Monday, for those of you who are unaware, is the second week-long set of sales, price cuts and special offers. the Originally this was set to the be the online counterpart to the retail-only Black Friday but over the years, the lines have blurred and now it’s just one big discount Smörgåsbord. As for Black Friday itself, a lot of retailers start discounting their stock on the Friday before, so it’s likely that we’ll see some tantalising deals starting Friday 17 November, so keep checking in as we get closer to the big day. As we learned last year, though, there may even be retailers who push things even further back. Once we’re into November, stay vigilant and keep your eyes peeled. Alternatively, just come back here since we’ll be keeping our eyes peeled so you don’t have to. Elsewhere, we’ve gathered up all the best Black Friday and Cyber Monday Nintendo Switch deals as well the best Black Friday and Cyber Monday Xbox One offers in case another console takes your fancy.